In 2014, Justin Skeesuck and Patrick Gray began their Camino journey. This was no normal adventure. When Justin was 16 he was diagnosed with a debilitating neuromuscular disease after a terrible car accident. He was left confined to a wheelchair. When Justin mentioned to his best friend Patrick that his dream was to do the Camino, Patrick replied ‘I’ll Push You’. And so one of the greatest Camino stories of all time was born. Since that landmark day, Justin and Patrick have released an acclaimed documentary about their Camino, as well as a book that goes into further detail. We partnered with them in 2014, now we are helping them to fulfil the dreams of others around the world. 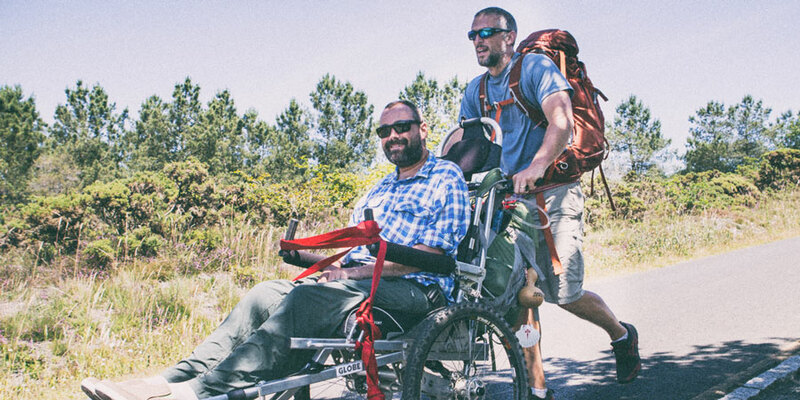 In September 2019 Justin and Patrick will take a group of pilgrims with limited mobility on the last 100km of the French Way. They will be accompanied by able-bodied companions. 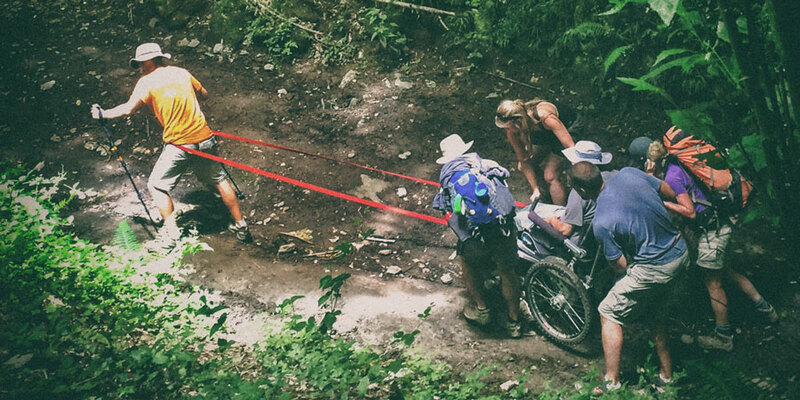 If you or someone you know has limited mobility but dreams of the Camino, now is their chance.